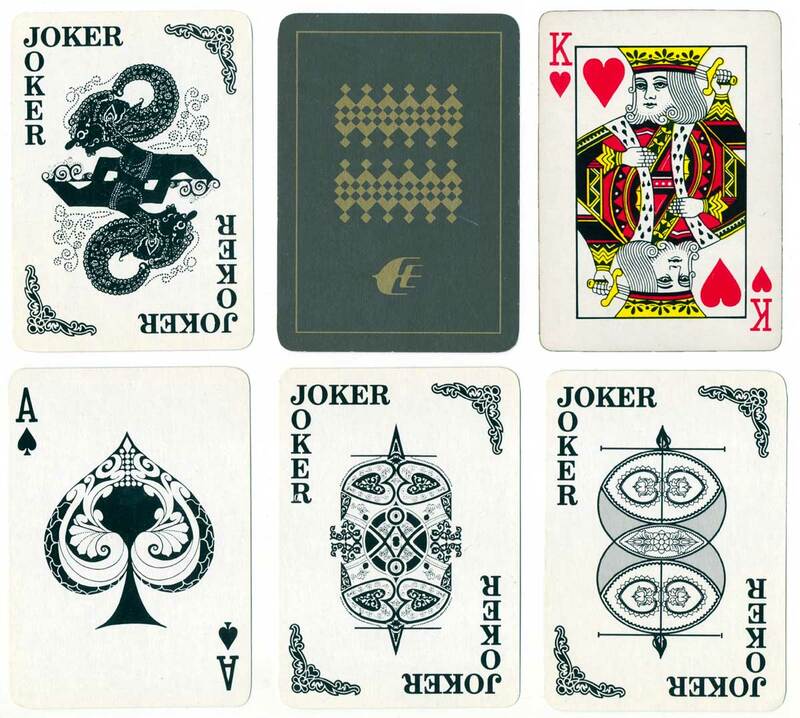 Malaysian-made decks of cards produced for Malaysian Airline Systems (MAS). 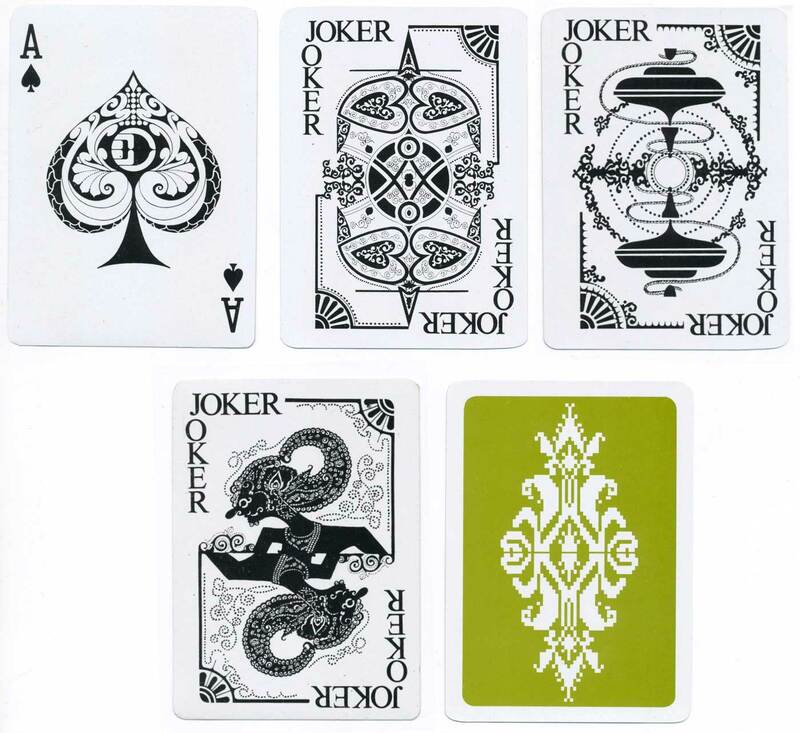 The custom Ace of Spades incorporates the MAS logo, as do some of the jokers. Several alternative versions exist with small differences in the designs or typography. 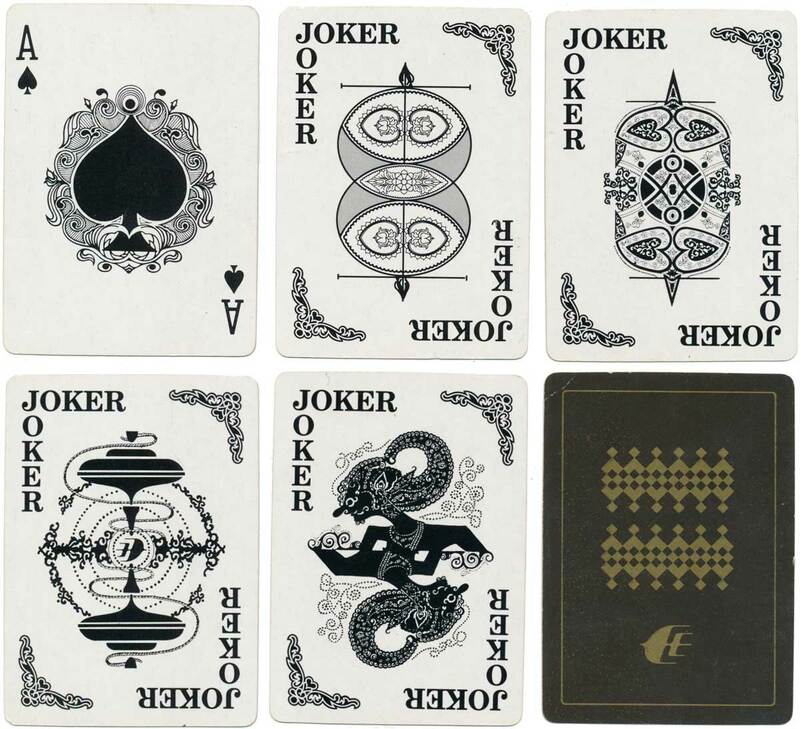 Above: Malaysian-made deck of cards produced for Malaysian Airline Systems. Images courtesy Matt Probert. 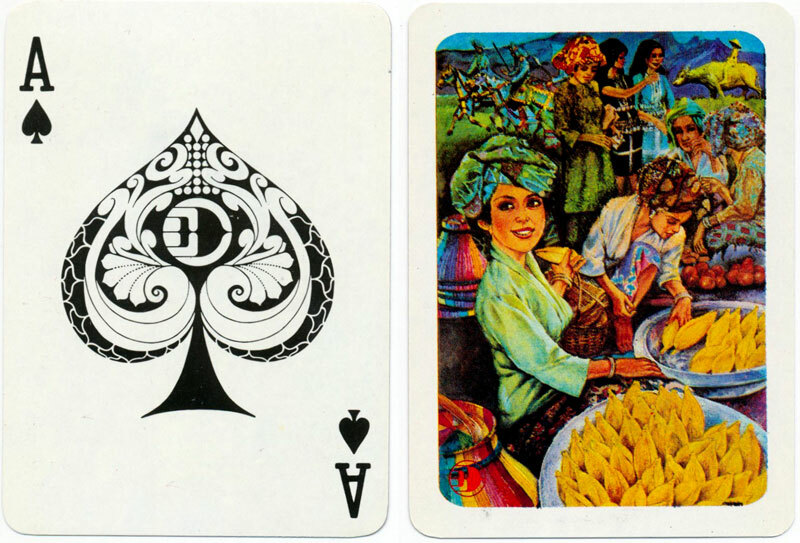 Above: Malaysian Airlines by Syarikat Duasama Playing Cards SDN. See another example here. Images courtesy Matt Probert.